If we look at incident and accident reports from across the different domains, a key theme rises to the top – humans make mistakes and errors no matter how much has been done to technically engineer out the problem. Notwithstanding this ‘root cause’, it is recognised that ‘human error’ is a poor attribution when it comes to incident investigation and as a consequence, many individuals and organisations spend considerable time and effort improving the engineering solution to the problem (technical) and once those have been incorporated, they then start to look at processes (either rules or training) to reduce the risk further. However, the point that was made in one of the presentations, is that the key area that organisations should be looking to modify are behaviours and assumptions as these underpin everything. 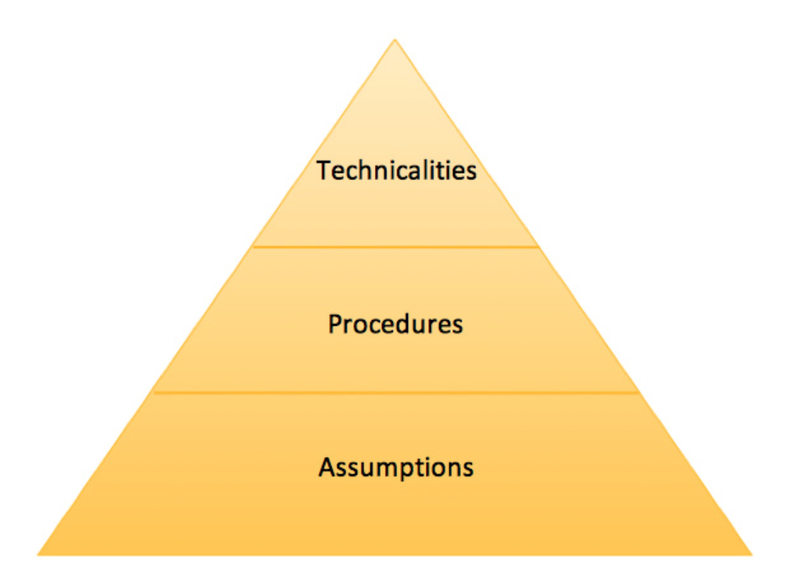 The reason for this is because whilst we might engineer out problems, or put rules in place to try and dissuade bad behaviours, if individuals or teams do not necessarily believe these or have false assumptions, the way they will approach a task or problem will be counter to the organisation’s (or community’s) needs and mistakes or errors are more likely. 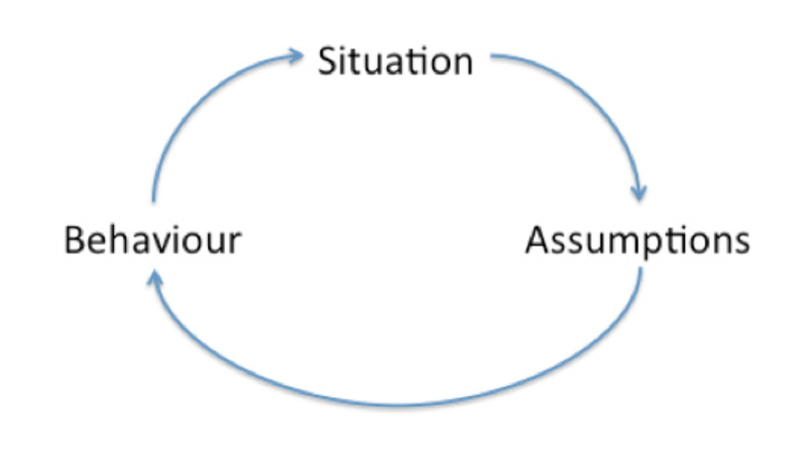 The following situation>>assumption>>behaviour diagram from Jurry Swark, Equitans demonstrates the problem faced when looking at human behaviour. Situation: Diver picks up a cylinder with nitrox in it from a dive centre he visits regularly. He knows the staff well and they have always given him what he wants in terms of gas. However, on this occasion, the staff member has forgotten to top off the O2 with air. In addition, the diver is in a hurry as he has another meeting to go to and is already running late. He does not have an analyser at home. Assumption: The diver trusts the staff to fill and mix the gas correctly. The mixes have always been within 1% when he has analysed the gas (but this hasn’t always happened). Behaviour: The diver picks up the cylinder, pays and leaves the shop without analysing the gas. He dives the cylinder and there might be a problem – this might be fatality. If there isn’t a problem, there is a potential that this starts an incorrect behaviour because it ‘was ok the last time’. This reinforces the incorrect assumption that the filling station provide correct gases. Unfortunately there are a multitude of incidents where gas has not been analysed correctly (or at all) and a fatality has occurred as a consequence. There are technical solutions to this problem (use analyser), there are process solutions (sheets to be filled in, follow best practice across industry) but behaviours need to be ingrained so that no matter what happens, the diver analyses their gas. Further, the diver should purchase an analyser and reanalyse the gas, mark the cylinder with date, MOD, signature and %O2 gas to one decimal place, immediately before putting the regulator on the cylinder even if they analysed it at the dive shop. This additional process, if it becomes part of the behaviours, will reduce the likelihood of an incident further. By having good behaviours, greater operational risks can be taken because the assumptions are being managed more effectively. Learning from Incidents – Why It Isn’t Easy in Diving!